The word ayama comes from the ancient Sanskrit language and means to extend or develop without restraint. 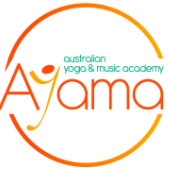 The Australian Yoga and Music Academy is built on this philosophy and offers the highest quality education in yoga, classical music and, at times, a creative integration of the two! Anna Carson founded the Australian Yoga and Music Academy with a desire to share the transformative power of both yoga and music with students of all ages. With over 15 years experience as a professional pianist and teacher, Anna’s musical studies and performances have taken her throughout Australia, Europe and America. After graduating from the University of Queensland as a student of Max Olding, Anna continued her studies at the Australian National Academy of Music in Melbourne. Following her three years at ANAM she undertook an intensive course of study with Professor Lidia Baldecchi-Arcuri in Genova, Italy. She has been fortunate to have lessons and master classes with pianists such as Barry Douglas, Boris Berman, Ruvim Ostrovski, Dominique Merlet and Christopher Elton. Winner of the John Allison/City of Sydney Scholarship and the prestigious Australian National Piano Award, Anna has performed with The Queensland Orchestra, The Queensland Philharmonic Orchestra, The Adelaide Symphony Orchestra and Orchestra Victoria. 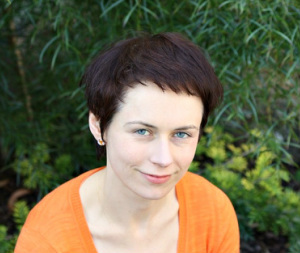 Anna has passion for chamber music and performs regularly with different artists throughout Australia. Anna first discovered yoga 14 years ago and, after many years dedicated to the musical arts, decided to delve deeper into the art of yoga. Anna received her first teaching certification from the Australian Yoga Academy (Advanced Diploma of Yoga Teaching) and subsequently completed the Yoga Fundamentals course with Bianca Machliss and Simon Borg-Olivier of Yoga Synergy, Sydney and Level 1 Calligraphy Yoga teacher training with Master Zhen Hua Yang. She has also trained with Loraine Rushton of Zenergy Yoga completing the Yoga for Children and Yoga Therapy for Children courses. Most recently Anna has developed a unique series of classes designed for professional musicians and music students of all ages which synthesise the spiritual and physical benefits of a complete yoga practice.